When The Bye Bye Man author Robert Damon Schneck told us about how he was surprised that people all the way up until the 19th Century believed in the healing power of blood, the first person I thought of was the infamous “Blood Countess” Elizabeth Bathory, a woman allegedly so depraved that she would bathe in the blood of virgins that she killed just because she believed it made her skin look younger. What a silly idea, I’ve always thought. How primitive and savage, how absolutely barbaric and unscientific. Blood can’t make you feel and look younger and it certainly can’t make you live forever like a vampire. But that’s where I was wrong, and maybe the Blood Countess was right. They do have a special skin therapy called a platelet-rich plasma treatment where they use blood plasma and something terrifyingly called “micro-needling” (which operates exactly how it sounds). Kim Kardashian hash tagged hers as a “Vampire Facial” when she did it originally. It works by damaging the skin with the micro-needling and then using the blood, which contains natural healing factors that will supposedly rejuvenate the skin by activating more of its own healing factors all the time. Does it work? Well, the jury is out. But could Bathory have been onto something? Well, the whole “bathing in blood” thing is an exaggeration. That didn’t even enter the legend until the mid-Nineteenth Century. 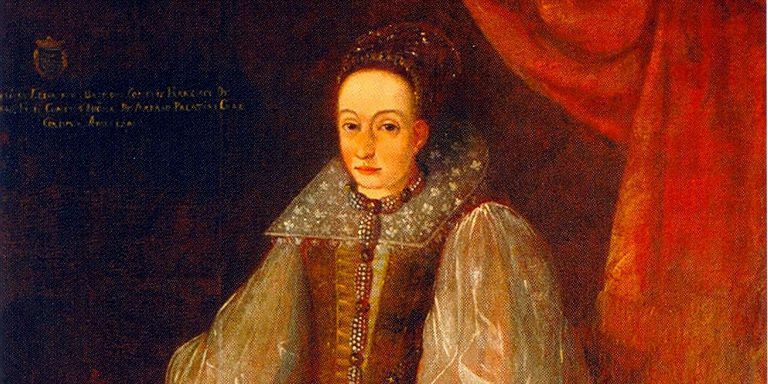 Bathory was born in 1560 and was part of one of the most wealthy and powerful families in Hungary. In fact, the family name was so powerful that her husband, who came from the second-most powerful family in Hungary, took her last name instead of making her take his. It was claimed that she was the world’s most prolific serial killer, ending the lives of over 650 young girls, whose families had entrusted them to be in the service and protection of the countess. But with a life intertwined with war, politics, intrigue, the everyday cruelty of masters and serfs, the truth behind her crimes is much more complex than I was originally led to believe. While we can’t quite redeem the lady’s reputation (she probably was a sadist and killed some people), we can at least put into doubt her status as the Most Evil Woman in the World. Sure, but is there anything to the idea that young blood can heal an older person? Yeah, there is, it’s actually far less barbaric than I thought. Parabiosis means “living next to each other”. Think about the word symbiosis, it’s a similar idea, but in symbiosis it’s just two creatures with a special relationship that they both get something out of. 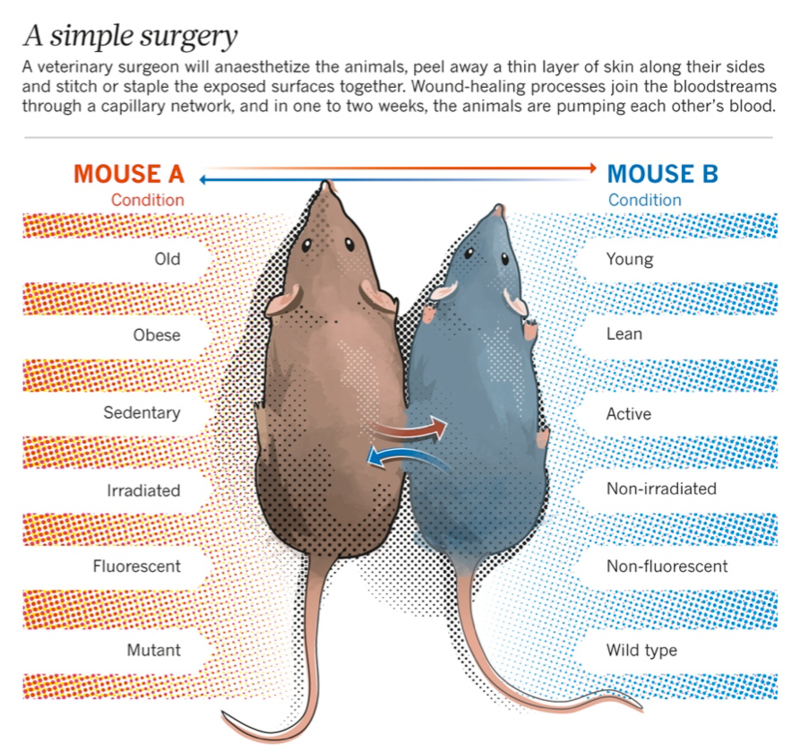 In parabiosis the two creatures are actually next to each other, sharing blood, and it was explored through research where they connected the bloodstreams by literally stitching together an older mouse and a younger mouse. But what they discovered that young blood helps rejuvenate old tissue. It works! This showed up in the news because in 2016 Gawker-buster and PayPal billionaire Peter Thiel had mentioned that he was interested in conquering death, on not just fighting aging, but trying to live forever. In one article he’s quoted as mentioning he’s interested in parabiosis. A later article claims that his company might be interested in a particular startup, Ambrosia Medical, who was leading the way with transfusing young blood to old people. Ambrosia is the food of the gods in Greek Mythology and we all know that Gods are immortal. Ambrosia is also the name of the chocolate factory where Jeffrey Dahmer used to work and he’s another guy that believed that if you ingested part of another person, that they gave you their power. So, I guess that name is appropriate in more ways than one. Fast forward to 2018 and Ambrosia is planning on opening a physical location in New York before the end of the year. Only $8,000 can get you a transfusion of some young blood. 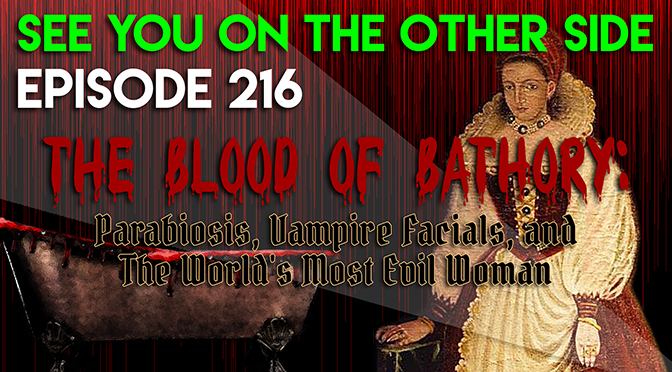 It’s a 180-degree turn from our disgust at Elizabeth Bathory. Now we’re not shocked about older people getting transfusions of young blood to reverse the aging process, now we’re going to pay for the privilege. The story of Elizabeth Bathory puts the situation of a noblewoman and a serf in Sixteenth Century Europe into extreme contrast. The real sick thing about Elizabeth wasn’t that she was given to sadistic proclivities or that she was bathing in blood, it was that she was born into the power over life and death of another human being. That lives were subject to the whims of her capriciousness. Her accomplices were tortured and killed while she was merely sentenced to life imprisonment and walled up in her own castle. The difference between noble and peasant is what really sticks out as the injustice. People didn’t do anything because she was a noblewoman, she was allowed to indulge her sickest instincts because of politics. And when you blame the system, that means everyone involved is a little dirty with “The Blood of Bathory”. Who’s the most wicked woman to live in this world? 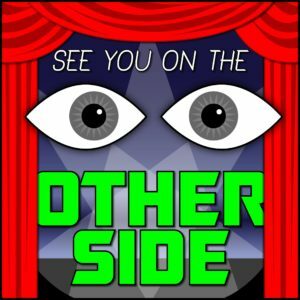 as the little people die. Who’s the wickedest woman to ever live in this world?